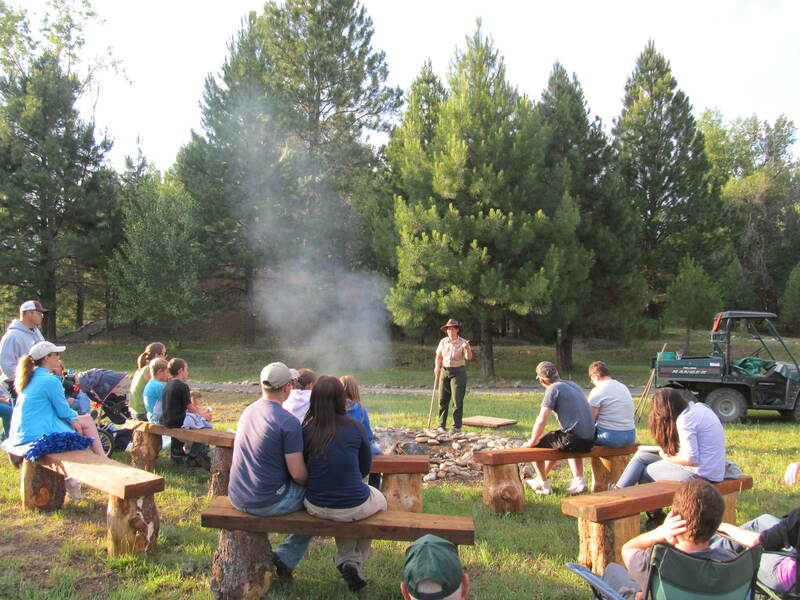 …Park Rangers and visitors gathered around for the first Camp Fire Program of the season on July 14th. Despite the thunderstorms, rain showers, and even a tornado warning for the lower Baker County which persisted throughout the day; the skies still cleared and made for a warm pleasant evening for a program and S’mores. Exploring old stories, rumors, and tall tales; visitors and park staff explored the mystery that surrounds the dredge: “Is Joe Bush Real?” Although, no solid conclusions were reached, it was a great time to remember the stories of pranks and mysteries passed down to us by the folks that lived and grew up with the dredge. Of course, what is a campfire without S’mores? Once again, thank you to the fire crew from Skamainia Co District 6 for the awesome donation of the marshmallow roasters! So, if you missed this one, stayed tuned because we have more scheduled. 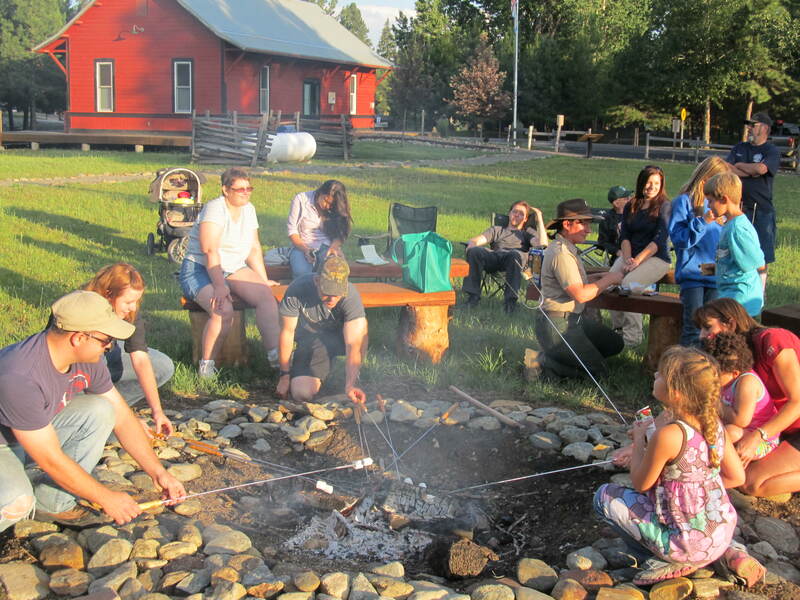 Next Camp Fire will be on July 28th with a new program from Ranger Sara. We’ll see you there! This entry was posted in Camp Fire, Dredge Stories, Events, History, Skeleton Creek and tagged Campfire Programs, Dredge Worker's Stories Skeleton Creek, Joe Bush. Bookmark the permalink. 1 Response to On A Not-So-Dark Night…. great program as usual! Lot’s of great information – and the marshmallows were pretty good too! 🙂 Can’t wait until the next campfire!